Purchase the Full Festival Ticket + Camping to access the Aquasella Festival and the camping site on August, 15th, 16th, 17th and 18th. It gives you access to the Pre-Party on August 15th and to the After-Party on August 18th. Parking access from August, 15th to August, 19th. 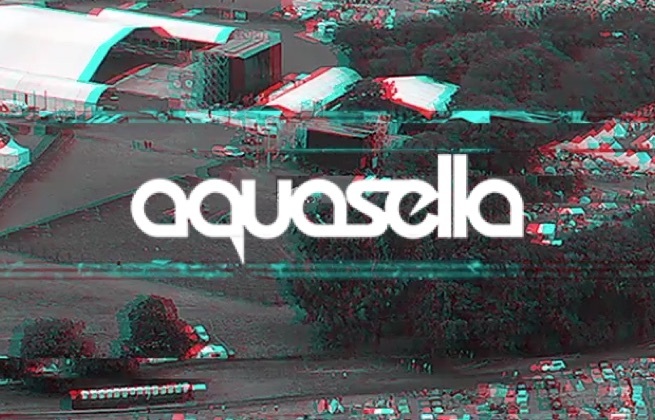 Purchase the Full Festival Ticket to access the Aquasella Festival on August, 15th, 16th, 17th and 18th. It gives you access to the Pre-Party on August 15th and to the After-Party on August 18th. Parking access from August, 15th to August, 19th. Purchase the VIP Full Festival Ticket to access the Aquasella Festival on August, 15th, 16th, 17th and 18th. It gives you access to the Pre-Party on August 15th and to the After-Party on August 18th. VIP Parking access from August, 15th to August, 19th. The VIP tickets gives access to the VIP area and VIP entrance. Purchase the VIP Full Festival Ticket + Camping to access the Aquasella Festival and the camping site on August, 15th, 16th, 17th and 18th. It gives you access to the Pre-Party on August 15th and to the After-Party on August 18th. VIP Parking access from August, 15th to August, 19th. The VIP tickets gives access to the VIP area and VIP entrance. Purchase the Full Minor Ticket to access the Aquasella Festival on August, 15th, 16th, 17th and 18th for minors who are 16 and 17 years old. It gives you access to the Pre-Party on August 15th and to the After-Party on August 18th. Parking access from August, 15th to August, 19th. 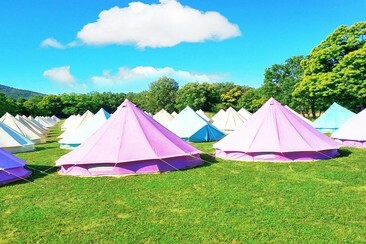 Purchase the Full Minor Ticket to access the Aquasella Festival and Camping Site on August, 15th, 16th, 17th and 18th for minors who are 16 and 17 years old. It gives you access to the Pre-Party on August 15th and to the After-Party on August 18th. Parking access from August, 15th to August, 19th. 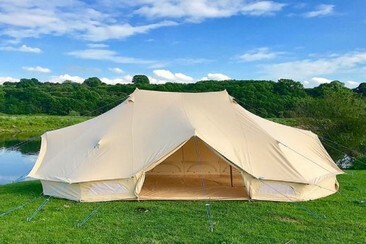 Está farto de competir por um bom espaço de campismo e não quer carregar e montar a tenda no festival? 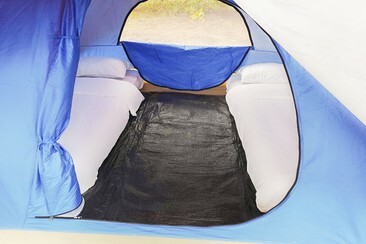 The Glamping Company tem a solução perfeita para si! Opções de alojamento para todos os orçamentos e necessidades, para que durma descansado, mas muito perto do evento. Easy Tents para 1 ou 2 pessoas pré-montadas. O chão das tendas está coberto por um oleado e estas dispõem de 3 colchonetes de 10 mm, lanterna e cadeado. O espaço dispõe de uma receção 24 horas por dia, 7 dias por semana, para que a sua estadia seja verdadeiramente agradável. 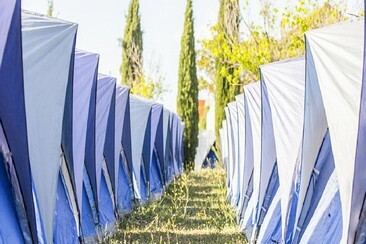 Os bilhetes para o festival não estão incluídos no preço do alojamento e devem ser reservados separadamente. Los Acebos Arriondas fica na vila das Astúrias de Arriondas, a cerca de 10 km do Parque Nacional dos Picos de Europa. Este estabelecimento oferece Wi-Fi gratuito nas zonas públicas e várias atividades ao ar livre. Todos os quartos dispõem de ar condicionado e de casa de banho privativa com secador de cabelo, cofre, frigorífico e televisão. O hotel oferece parqueamento gratuito, receção 24 horas por dia e serviço de lavandaria. Existe também um pequeno ginásio e um solário. O Acebos Arriondas organiza muitas atividades desportivas de aventura, tais como excursões de moto-quatro, paintball, canoagem e visitas a grutas. 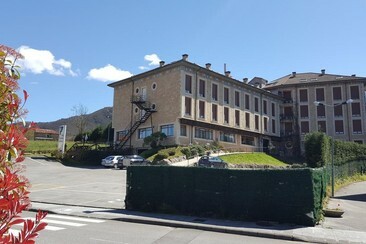 Isto dá aos hóspedes a oportunidade de desfrutarem dos arredores naturais do hotel. Return coach from Leon, operated by Viajexpres. Includes: Return bus trip, luggage, VAT and fees, Civil Liability Insurance. Management costs not included. Autocarro de ida/volta de Valladolid, operado pela Viajexpres. Includes: Return bus trip, luggage, VAT and fees, Civil Liability Insurance. Management costs not included. Purchase the Camping + Vehicle Parking to use it on August, 15th, 16th, 17th, 18th and 19th. It is only available for a car and one person. You need to buy the full festival ticket + camping to use this upgrade.